The state of Texas still considers drug offenses to be quite serious, and these offenses come with severe penalties if convicted. Under Texas law, it is illegal to possess or be in control of items that can be used for drug consumption or manufacturing. This means that penalties even extend to those who are found with just paraphernalia and not the actual drugs themselves. With this in mind it is important to know the definitions and sanctions that the state of Texas may impose if convicted. Understanding the laws and consequences should give you a more developed knowledge of what to expect, which in turn, should allow you to approach the situation in a more effective manner, giving you a better opportunity to defend yourself if the need arises. • Plant, cultivate, grow, harvest, manufacture; • Compound, convert, produce, pack, store, contain; • Inject, ingest, inhale, introduce into the body; or • Conceal a controlled substance or drug. As for the penalties, a conviction for possession of drug paraphernalia will result in a Class C misdemeanor, which comes with a presumptive fine of up to $ 500. Although, in many situations, the charges will most likely be more severe if drugs or controlled substances are found with the paraphernalia. There is also a separate charge for “delivery of drug paraphernalia” which can be found under Texas Health and Safety Code Â§481.125(b), that states an individual found to intentionally and knowingly delivers, possesses or manufacture s with the intent to deliver drug paraphernalia will be charged with a Class A misdemeanor. This comes with a presumptive sentence of up to one year in jail and / or a fine of up to $ 4000. If the individual has been convicted of a previous delivery of drug paraphernalia offense, they may receive a mandatory jail sentence of 90 days to one year in jail. If the deliverer happens to be to a minor under the age of 18, there is a possibility that the individual could be convicted of a state jail felony, which is punishable by 180 days to two years in jail and / or a fine or up to $ 10,000 (Â§481.125c). The state of Texas does differentiate between “classifications” or drug paraphernalia, with the separation depending on “user-specific” products (pipes, bongs) and “dealer-specific” products (scales, plastic baggies). This may affect the potential penalties you will face. As for the process if you happen to be put in this unfortunate situation, the officers will charge you with the crime and may arrest you depending on the circumstances. At this point you do have the right to speak with a criminal defense attorney, which may be in your best interest. During your initial hearing you will be informed of the charges and asked how you would like to proceed. Deciding whether to plead guilty, no contest, or not guilty should be considered depending on the situation you are in. Michael J. Price of the Law Office of Michael J. 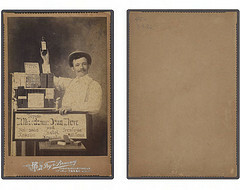 Price, P.C. is a Georgetown Drug Defense Attorney who is dedicated to providing individuals with excellent client service and legal counsel who are dealing with criminal charges throughout Williamson and Bell County. He has over ten years of experience representing individuals in central Texas and is committed to seeking justice and fairness for each client he represents. THE DEFENDANT: Roger Clemens Once a star with the Boston Red Sox, Toronto Blue Jays, New York Yankees, Houston Astros and Texas Longhorns and a seven-time Cy Young Award winner, has continually insisted that he never took performance-enhancing drugs.